Gears eSports will be coming out with a variety of free weapon skins throughout March and the beginning of April for fans who watch games, participate in quests, and play matches during the months. 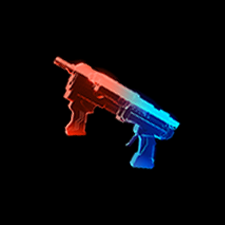 The transparent skins will switch between red and blue in-game, depending on what team someone is playing on. A player will need to long in to live.gearsofwar.com with their Xbox account in order to get the skins, which may take up to a week to be delivered. Although some skins have already passed us by, we can still discuss the rest of the awesome skins that will be out in the coming weeks! THE ENFORCER can be obtained on March 15 during the Gears Fight Night broadcast. The broadcast starts at 3PM Pacific/5PM Central/11PM GMT, and the quest for the skin will appear during the final match. THE BOOMSHOT AND THE BOLTOK can be obtained my participating in the GameBattles 2K Tournament on March 19. Anyone who completes the first round of the tournament will get their skins, regardless of whether or not they win. 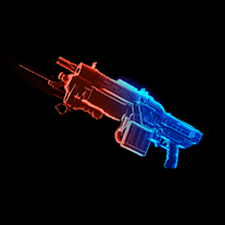 THE RETRO LANCER can be obtained on March 22 during the Gears Fight Night. Once again the broadcast will start at 3PST/5CST/11GMT, with the skin obtainable during the final match. THE EMBAR AND THE OVERKILL can be obtained by watching Day 1 of the Atlantic City Open on March 31. The skins may or may not be collectable at the same time during the broadcast. THE TORQUE AND THE MARKZA will be obtainable during Day 2 of the Atlantic City open on April 1, and may or may not be collectable at the same time. THE LANCER, SNUB, AND DROPSHOT will be obtainable during the final day of the Atlantic City Open on April 2. They may or may not be collectable at the same time. More information on all of the Phantom skins, and how to obtain them, can be found of the Gears of War website. PC players, who are unable to participate in GameBattles, will be able to obtain GameBattle skins by playing the Escalation ranked playlist before 10PM Pacific on March 16, or 1AM Central/6AM GMT on March 17. Will you be grabbing any of the remaining skins? Which is your favourite? Make sure to let us know in the forums!